Improved 4:1 pitch has 0.248" hole spacing for easier insertion and improved appearance. Works with all standard 4:1 coil. All 54 pins are disengageable to allow for a clean and complete punching with any paper size. Punches oval holes (4mm x 5mm) for easier automated insertion of coil. Side margin control provides an evenly centered punch for all document sizes. Reverse (Anti-Jam) function for trouble free punching. 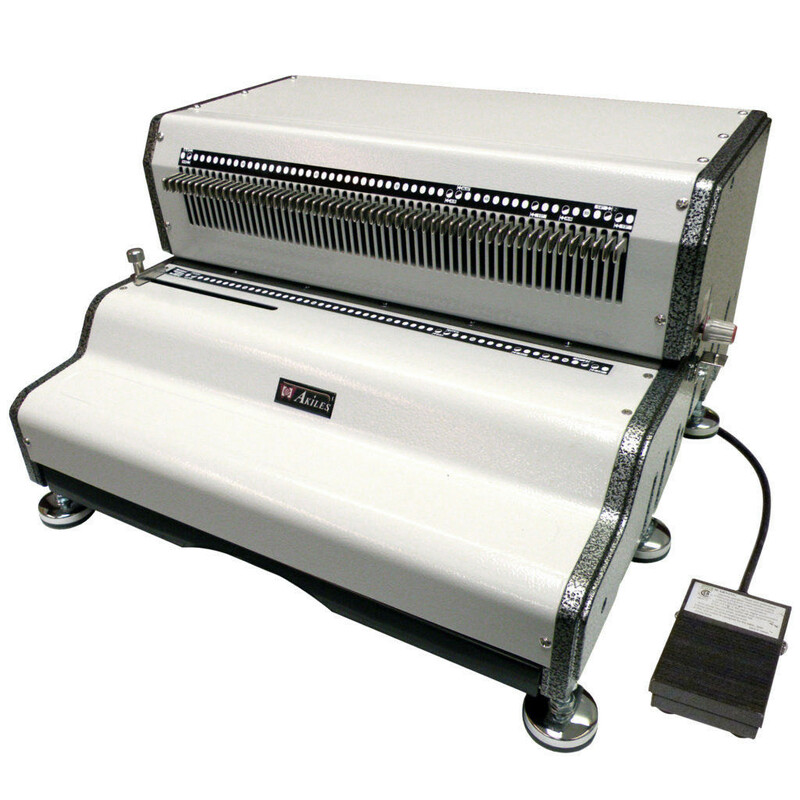 The heavy-duty punch motor can punch lifts up to 25 sheets of paper (20 lbs). The punching margin control allows the operator to set the correct punch margin depth for each coil size. The open punching throat and continuous punching guide allow the operator to easily align and punch documents longer than the 13" capacity. Punching is electric for operator comfort and productivity. Full punch length is 13" (54 punch dies).